“Reasons for nonuse included the desire to speak directly to providers and privacy concerns, both of which require recognition of the important role of provider communication and patient-provider relationships,” say the authors of the study. Disparities among those who said they’d been offered portal use, and among those who chose to use it, suggest this technology can become a source of unequal access to healthcare, the study team writes in Health Affairs. “Previous research has shown there are real benefits to portal use. Patients become more engaged in their own health and really stick to their treatments,” said senior author Denise Anthony of the University of Michigan in Ann Arbor. “However, new treatments in health care, and new technologies in general, can end up increasing inequality,” she told Reuters Health by email. Anthony and her colleagues analyzed data on 2,325 insured patients who participated in the 2017 Health Information National Trends Survey and who had a medical visit during the year before the survey. The researchers wanted to understand the characteristics of portal users and nonusers and the reasons, such as technology issues or security concerns, why many patients don’t use online sites to access their medical records. Overall, 63 percent of survey participants reported not using a patient portal during the past year, and 60 percent reported not having been offered access to a portal. Nonusers were more likely to be men, aged 65 or older, to be unemployed, live in a rural location, have public insurance through Medicaid, have a high school diploma or less education and to lack a regular doctor. Similar characteristics, as well as being non-white, were seen among people who said they weren’t offered access to a patient portal. People who were offered access to a portal and didn’t use it were more likely to have less than a college education, to be insured by Medicaid, to be 65 or older, live in a rural area and to be Hispanic. Among the reasons participants gave for not using online portals, 25 percent mentioned issues with internet access, 32 percent said they had no online medical record, 70 percent said they preferred to speak directly to the doctor, and 22 percent were concerned about privacy issues. “We also know from our previous research that privacy concerns can affect patients’ relationships with physicians, including how they communicate and trust their doctors, so these concerns are important beyond portals,” Anthony said. It’s possible that some participants were not offered portal access because their doctor did not have one, the study team noted. Another limitations is that the survey relied on participants to recall whether they were offered use of a portal. “The underlying assumption is generally a ‘Build it and they will come’ mentality about technology, but this study gives great perspective about both who is offered/using the portal as well as why certain groups experience barriers,” said Courtney Lyles of the University of California, San Francisco, who wasn’t involved in the study. “Everyone is generally interested in online tools to make life more convenient, but we can’t separate that from the skills and relationships that surround technology use,” she told Reuters Health by email. Future studies should consider the role of digital inclusion and digital literacy, Lyles added. 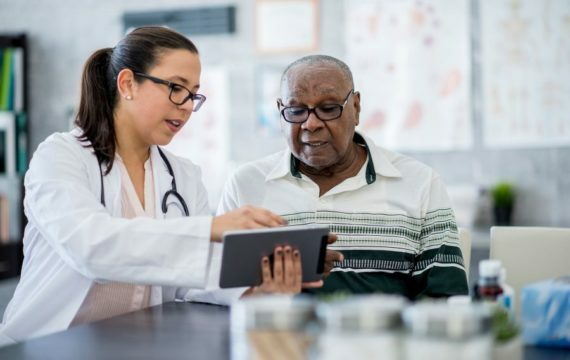 Doctors will need to do more to help patients use portals during visits, as well as connecting them to resources for digital support such as local libraries and community groups. “We have to think broadly about diverse patients and their needs and not be satisfied if this technology is used by the most well-resourced (and potentially healthiest) patients alone,” she said.